Your company slaughters meat pigs or mother pigs. Possibly you will slaughter for your own meat production , possibly for third parties as a service. Some features are depending the sub type of animal . Registration of live animals based on transport documents or electronic declarations (country dependent). Integrated document scanning of transport document and archiving together with registration of live animals. 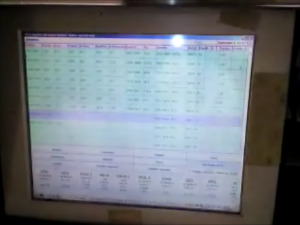 If applicable: electronic data exchange with computer systems of authorities (veterinary organisation live stock) to get approval for slaughtering. If applicable: classification procedure at the end of the slaughterline with FAT-O-Meter / camera / weight / AUTOFOM. Purchase administration : animals – payments. Specific overviews and reports concerning slaughtering of pigs: statistics.